This entry was posted in English and tagged Job, Old Testament, structure. Bookmark the permalink. Thanks Celinda. The site is with wordpress.com and I’ve used one of their free themes, Redoable Lite. 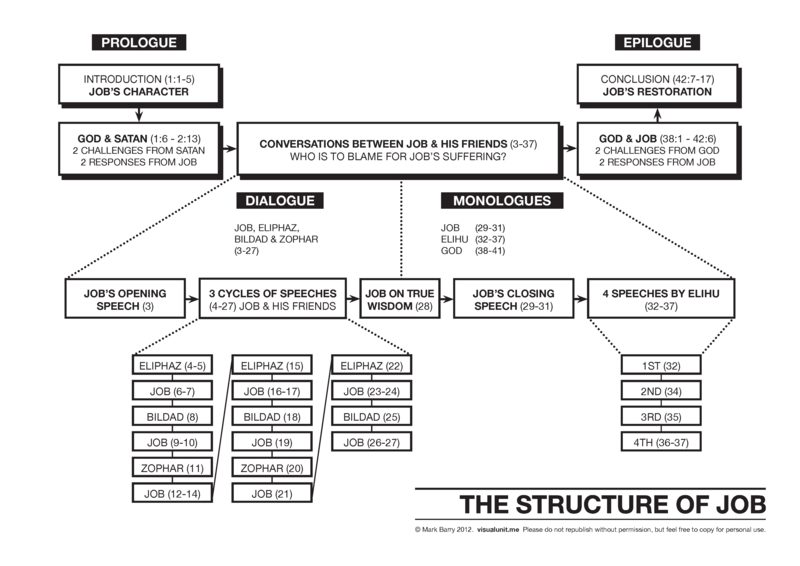 I wonder if you could colour-code or shade the Job speeches (at least) so we get a picture of their alternating nature. unless you already tried that and it looked messy.